I'll admit that I've been chewing on this one for a while. 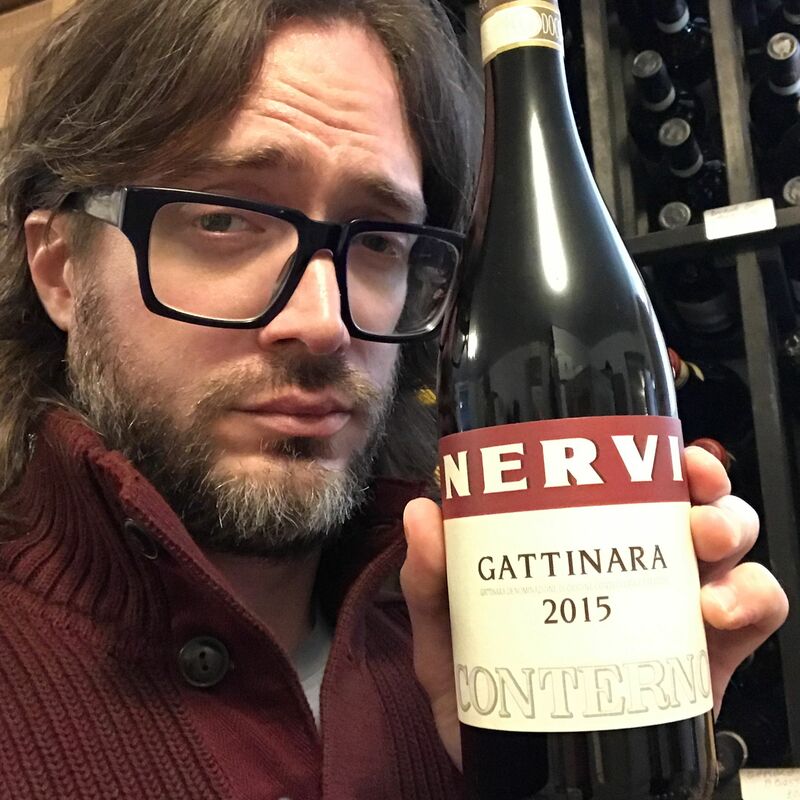 Over the last 4 or 5 years, we've sold about as much Nervi Gattinara as anyone. We've been very big believers in these wines for a while now and have gotten many of you on the bandwagon. Then last June, we got word that Roberto Conterno had purchased a controlling interest in the winery, after having been involved in the workings since 2014. I was excited - it was big news for Northern Piedmont. I was also a little bummed, knowing that, while Conterno would do wonders for the quality of the wines, the prices were probably going to increase overnight, and significantly at that. I was also a bit nervous - one because I wanted to get in front of you with the last of the 'old' Nervi at the 'old' pricing (which we did in spades), and two, because I knew I'd also have to convince you that, despite such hefty price increases, that you should still buy the wines, because they were still going to be worth every penny in the grand scheme of things and it also represented a chance to get in on the ground level of something big. The easy thing to do would be to just tout the fact that this is 'Roberto Conterno's newest project, yay!' and reference Francia and Monfortino and $1000+ bottles and the 100-point wines he routinely churns out in Barolo, and pretend that Nervi never existed before Conterno. I'm sure you've already seen offers for these wines doing exactly that. Also, to be fair, the enthusiasm associated with having Conterno's name on the label is understandable and well deserved. The wines are fantastic, and, yes, I do believe that his touch is already quite tangible in the glass. 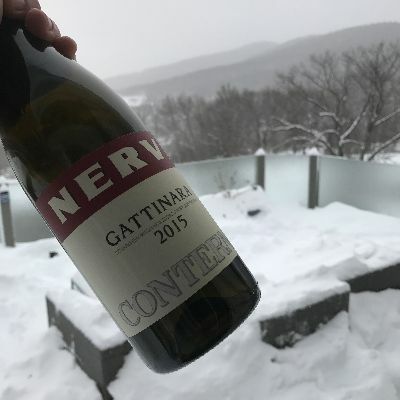 The first releases with the 'Nervi-Conterno' label on them are the 2015 Gattinara Normale and the 2014 single vineyard wines (Molsino and Valferana). I tasted the '14 Molsino and Valferana back in November and they were absolutely lovely. The Valferana, with its perfumed, supple, savory fruit was running on all cylinders in the highly aromatic 2014 vintage. The Molsino was showing all of that muscular, blazingly-bright red Nebbiolo fruit in a lively, very energetic frame. For the 2015 vintage, Conterno decided to bottle just one wine, meaning that all of the juice that would've normally been bottled as Molsino and Valferana, ended up blended in with the regular Gattinara. This past weekend, I got to sit with a bottle of the 2015 over the course of a frigid Sunday in the Catskills, and I'll say that having the two single-vineyard components in this bottle absolutely shows. All of the 'Nervi' elements are on display, from the bright purity I always associate with the 'Normale', to the airy, fragrant character of the Valferana, and the deeper, more muscular profile that I always find in the Molsino. Also, the 2015 vintage shows itself as well, though the wine never feels 'warm' or 'ripe'. When I first opened it around 1pm, the wine was showing a lot of the fine structure that Gattinara (especially Nervi) always does. As the hours progressed, a lot more of the supple, pure, highly-aromatic red fruit began to emerge. There was also a nice 'barrel-sheen' to the wine, not necessarily an aroma or flavor of wood, but that nice refinement and polish that comes along with just the right amount of time in a large barrel, something that Conterno is a master of. There was no denying it was an expressive, delicious and very complete glass of Nebbiolo. Then I asked myself 'the' question and tried to give myself an honest answer. Would I be happy to pay $49/btl for this wine, even though just last year I would have paid $35? And, without a doubt, the answer was yes. You don't even need to compare it to Barolo or Barbaresco to realize that it's still a fabulous value at $49. I mean, just look at a wine like Ferrando's Carema, where the 'White Label', once a great value at $40, is now pushing $70, and has lost little, if any, of its audience along the way. This, I'm fully aware, is the kind of situation that can lead to all sorts of opinions, ranging from enthusiasm to outright hatred. But I always try to look at the situation with some nuance. Yes, all of you who've been getting this wine for well below $40 for the past few years were getting a hell of a deal. But each of you who buys this one at $49 will still be getting a hell of a deal. And you'll be buying the first vintage of a wine that's very likely destined for scarcity in the future (and most certainly a much higher price). All joking aside, though, you'll just be buying some really delicious bottles of wine that you can enjoy with great food and great people.